The Fall 2016 season, gave me some interesting show to watch and I was really hoping find more show to watch with the Winter 2017 season once the Fall season would be over. 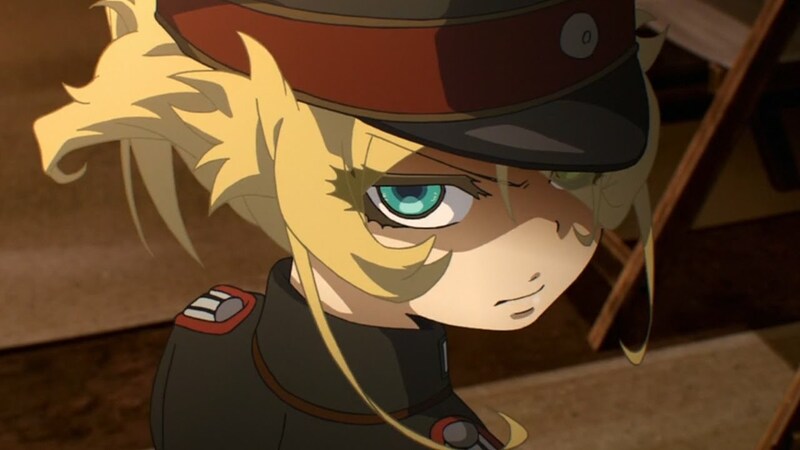 I look a lot a compilation of PV on YouTube, Saga of Tanya the Evil (Youjo Senki) is one of the show that catch my interest. The anime is the adaptation of a Japanese light novel series written by Carlo Zen and illustrated by Shinobu Shinotsuki. On the front lines of the war, there is a little girl. Blond hair, blue eyes, and porcelain white skin, she commands her squad with lisping voice. Her name is Tanya Degurechaff. But in reality, she is one of Japan’s most elite salarymen, reborn as a little girl after angering a mysterious being who calls himself God. This little girl, who prioritizes efficiency and her own career over anything else, will become the most dangerous being amongst the sorcerers of the imperial army. I tend to enjoy military show even more if it’s related to the two World War. Don’t ask me why, but it was two subject that I always had good result at school, therefore when I saw the promotional videos of this series and got really intrigued by it. As read some people comparing it to Izetta the Last Witch, anime series which aired during the Fall season 2016. I must admit I didn’t watch the show, thus I can compare them. I know the setting it quite both story happen in an alternate world at war in a land quite similar to Europe. But the similarity stop there. I really can’t picture Tanya Degurechaff, the main character, protecting anyone. The only thing she (he) want is to stay alive the longest time possible while kicking the newbie around and make sure they respect the Fatherland. So far, two episode were released, the first one was to introduced us to the world in which Tanya live in. What her daily life is made of. The second episode gives us a prologue, where Tanya is from, what happen in her (his) previous life and why that salaryman got reincarnated into a little girl. I enjoyed both episode, it was a good introduction to the series. Can’t wait to see more of it, I especially liked the aerial battle. Just like the title say, Tanya is known to be Evil, even the devil is scare of her. She shown no mercy for weakling and doesn’t really care if one of her subordinated get kill as long as she stay alive, that all what matter to her. Did you watch the series ? What do you think of it so far ? Previous Previous post: First Impression: ACCA: 13-Territory Inspection Dept.